There's lots of rain together with thunder in the east of the Netherlands as I write this. But Witte Tornado and The Lady are on the air regardless of the weather conditions with their regular Sunday afternoon/evening broadcast. I was there around six weeks ago and I can imagine the top of the antenna swaying in the wind as I listen to their music on 1647 kHz. The signal is pretty strong here, but with plenty of static crashes. Generally the sinpo is around 45343, so perfectly listenable. The rest of the top of the MW band is silent here, and a quick look on the sdr at Enschede reveals there is nothing else to be heard even locally. It also shows the reason why. Look at this screen grab and you will see the vertical line marking the Witte Tornado signal on 1647, but all the horizontal lines are the continual static due to the thunderstorms. Its not easy to listen to anything with that much noise on the band, which explains why most pirates have decided on an early night! The last few days have been interesting in a number of ways. Activity levels from the sun have been creating very volatile conditions, particularly on shortwave with signals quickly fading out from very strong to nothing in no time at all. Tonight, for example, Cupid Radio was blasting away on 6281 one minute and then he was gone the next. MW seems a little more stable than in recent weeks, although perhaps the new loop antenna at this side is working the magic. It certainly seems to be helping with reception in the early morning, and there was a nice surprise on Wednesday when I heard Calipso on 1620 kHz. It's been a good while since I heard him on the air as he's been taking a more cautions approach in recent months. While it was good to hear this well-established pirate on the air again, it was also equally refreshing to catch a new name, for me anyway, later in the day when hearing Baantje on the same frequency. Baantje is not a regular on MW and it was the first time I had heard him when catching his signal on 1620 on Wednesday evening. The static crashes were quite heavy that night, so reception was disturbed, but his low-power signal was doing pretty well. When he closed down he had a chat to Saporro, who was coming in a little bit stronger, in fact perhaps the best I have heard him. He was trying out a new transmitter, and it gets a thumbs-up from here! After weeks of struggling to hear the Dutch MW pirates due largely to poor conditions I can now hear something each evening - and even during the early mornings too, a sure sign autumn is on it's way. Before sunrise on Saturday and Sunday morning I set the computer to record 1620 kHz and each time I was rewarded, with Torpedojager first time, followed by Zonnester the next day. I've listened for only about an hour this evening but heard a handful of stations. Snowman has been doing great work with just a few watts from the north of the Netherlands, while it was interesting to hear Torpedojager at this time of day. Usually during the winter I catch him on a Thursday morning with his weekly programme. 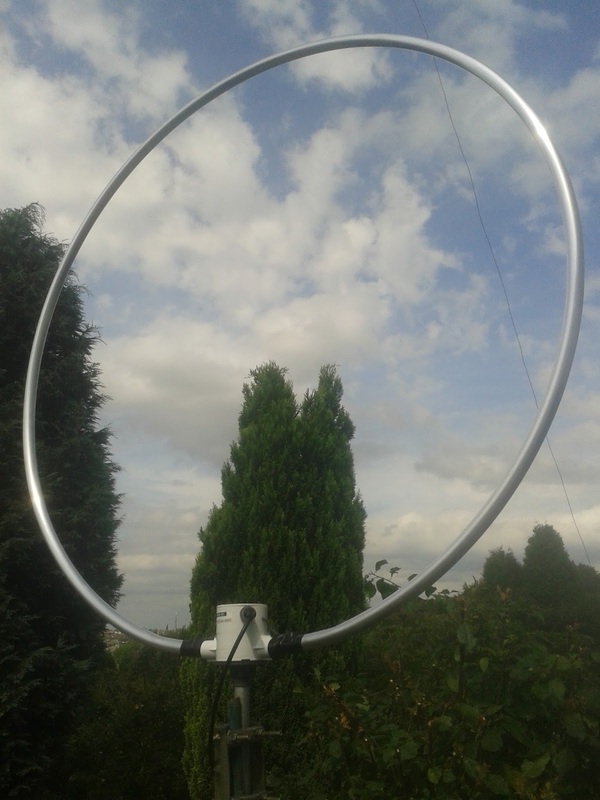 I've been trying out a new version of the Wellbrook loop antenna this week - the latest low-noise design. I always use 10db of attenuation with the Kenwood R-5000 receiver here which moderates the signals a little as the meter is quite generous. This also reduces the noise reading, and with the new loop I am now often getting just an S1 of noise at the top of the MW band, which is perfect for pulling in pirate signals big and small. So, I might hear a station coming in at, say, S4. You might think this is not very strong, but it's three s points above the noise level, so better than receiving a signal at S9+10 when the noise level is S9. A crucial factor with reception reports often overlooked is the noise floor - it's a vital piece of information, and this new loop certainly helps a great deal on that count. Trying it out on 48 metres alongside an inverted v antenna for that band is pretty telling. Even without looking at s meters, you can hear the difference in noise level. And the meter backs that up with a difference of a couple of points between the two antennas. You might not think cutting down the noise level a little bit is a big deal, but it is really noticeable and after just a few days of use I cannot imagine going back to early versions of this loop antenna, which although were very good, have been well and truly trumped with this version. I guess it's a bit like washing powders . . . the adverts on TV always say they're brilliant - until the next one comes out and you cannot imagine how you managed without the newest version. Here's what I've heard from the Dutch pirates since I installed the Wellbrook ALA1530LN+. All times are UTC as usual, so two hours behind local Dutch time. Boomerang is not a regular on MW. In fact, looking at my logs shows I've not heard him up there since December 2011. He was testing on Friday night and coming through really well - his audio was very smooth as well. Perhaps he'll come on and do some programmes some time? 1606 kHz is not a frequency you often hear pirates using, but Desperado was trying it out on Tuesday night. He had been on 1611 earlier in the evening with a music programme, which was coming in quite well at times here even though the power at his side was only 60 watts. His antenna was peaked for 1606 though and, sure enough, he was marginally stronger when he switched down 5 kHz. Trouble is, there was much more interference on that channel from 1602. He plans to adjust the antenna so the optimum frequency is 1611. Some very nice signals arriving here tonight from the Netherlands. This seems to be a combination of the new loop antenna we received this week, together with good conditions and some power stations on the band. Right now I'm listening to Vrolijke Mijnwerker on 1623 kHz, and I've also been enjoying the music from Relmus, who is still going strong on 1655, and from Schaduwjager who was on 1640 a little earlier, either side of a qso with Noordzee. Mijnweker, Relmus and Schaduwjager have all been putting in very similar signals here, touching around 70% on the meter. What is interesting though, is that they all sound very different indeed, even on the Kenwood communications receiver I'm using this evening. I made a recording of three, so have a listen and see what you think. All three sound nice and loud, but are quite clearly using different types of modulation and sound processing. I heard Boomerang testing on 1635 earlier this evening, and Edelkampioen qsoing on 1637. Both were also very strong but again had a different sound. The modulation and audio quality is an aspect of the hobby I find particularly interesting, and it can help to identify stations as well. When you know a particular sound it is often possible to know who you are listening to before a word has even been spoken! 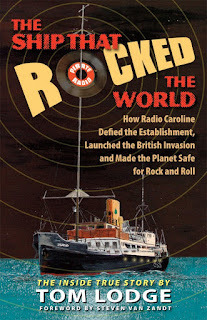 This weekend marks 48 years since the Marine Broadcasting Offences Act was introduced in a bid by the government to bring an end to the era of offshore radio that in Britain was started by Radio Caroline at Easter in 1964. And there is a tribute to those water-based pirates of the past courtesy of Radio Tatras International. Three days of interviews and recordings started yesterday and continue across the weekend, so if you fancy a bit of nostalgia, why not visit the website and click on the live streaming link. And while you're at it, if you own a Kindle, now could be the ideal time to read Tom Lodge's first-hand look at life on Radio Caroline in those early days. The Ship That Rocked The World is available to download for free from Amazon and is well worth it. I read the book in a couple of sittings during my holiday in Ibiza last week and I could almost feel the excitement as a generation of youngsters tuned in to something the world had never heard before. From August 5 I spent a week in Ibiza with my wife and two daughters. The weather was hot, the drinks were flowing and we had a great time. 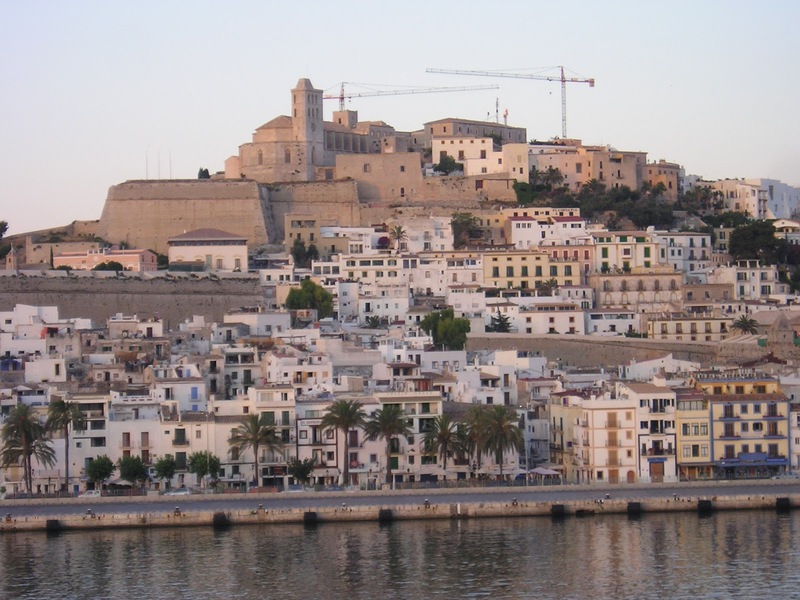 I read that the island attracts most of its holidaymakers from Spain, Britain and the Netherlands, and indeed we did hear many Dutch accents during our stay. That got me wondering if I saw any pirates in Ibiza, especially when one one afternoon we took a boat trip and a Dutch chap in front of us had a tattoo across the top of his back. It read AM DJ! I took the KPO receiver with me and a little loop antenna for MW reception, but I didn't manage to hear any pirates, although I listened out only a few times. There was plenty of local noise from the hotel and the very hot weather meant there was lots of static on the bands as well. Back here in England there's no chance of getting burnt by the sun. It's rained all day long and the forecast resembles something from early autumn rather than the height of the summer. Propagation seems to be pretty good on MW and SW though. 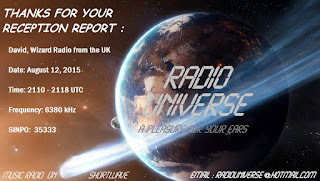 One of the first stations I heard when we returned from holiday was Radio Universe from the Netherlands. I hadn't heard him for ages, so it was a nice surprise to catch him on the air, even if it was just the last few minutes of his broadcast. I've got another loop antenna on the way from Wellbrook Communications, which will be interesting to try out. It's a new design which promises a little less gain on signals but a significantly lower noise floor. That should prove ideal for picking low power Dutch pirate signals out of the ether on MW during the next few months. I will of course report back with my findings. Well I just got a very nice surprise at the top of the MW band. Radio Borderhunter is a regular on SW and a station I've always enjoyed listening to. In fact, when I was away from the pirate scene during the early part of the last decade I sometimes had a quick scan around the 48 metre band on a Sunday morning or late on a Saturday night just to see who was about. And if I found the Borderhunter, I would stick with him. Anyway, in a first for me, I'm currently listening to him on MW, on 1660 kHz using his Dutch name Grensjager. This is his first broadcast on the band for about eight years, apparently. He's currently trying out a half-wave dipole which he's just assembled. 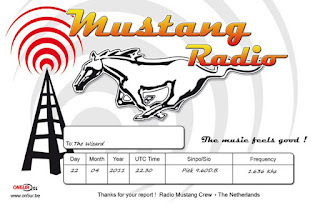 That's good news for us listeners outside of the Netherlands as we can look forward to a good signal in Europe, although domestic listeners are likely to have plenty of fading when they tune in. That is why the vertical coil is so popular over there and the antenna of choice for many of the MW pirates as the groundwave created with the coil is pretty good for covering plenty of the country, whereas the greater skywave with a wire antenna means the signal tends to go further afield. I'm not complaining though, as it means I'll be able to listen to the Borderhunter on MW! There are plans for plenty of programmes on 1660 kHz during the next few weeks, so drop by on the frequency and have a listen. A couple of evenings ago there was something out of the ordinary on 6238 kHz. Black Bandit (aka Abu Dhabi) was booming in loud and clear on the frequency. Nothing strange about that as he's always powerhouse strength over here and in most of Europe. However, the content of his broadcast raised my eyebrows a notch. You never quite know what's coming up next when Black Bandit is on air, but this time it was even more unexpected. He was rebroadcasting a qso from the top of the MW live on to shortwave. So, while I could hear Zender Johan on 1620 with a fair signal, it was loud and clear on 6238, although with the static and fading being received at the Black Bandit's location. It was interesting to be able to hear reception somewhere else in the Netherlands other than via the SDR at Enschede. 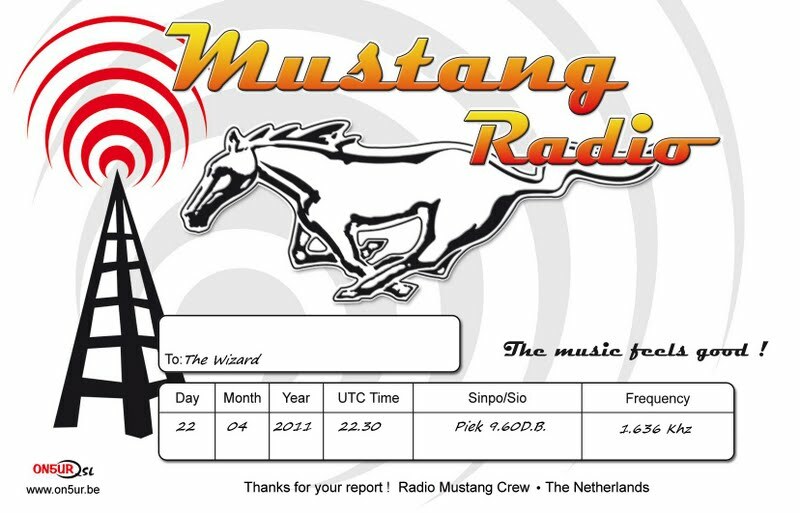 Also involved in the qso was Mustang, Vriendschap, Monte Carlo and Casablanca, all received here with similar signals. Talking about Mustang, he was been busy a few times on MW recently, switching from SW where he can be heard most of the time. His signal is usually pretty good. 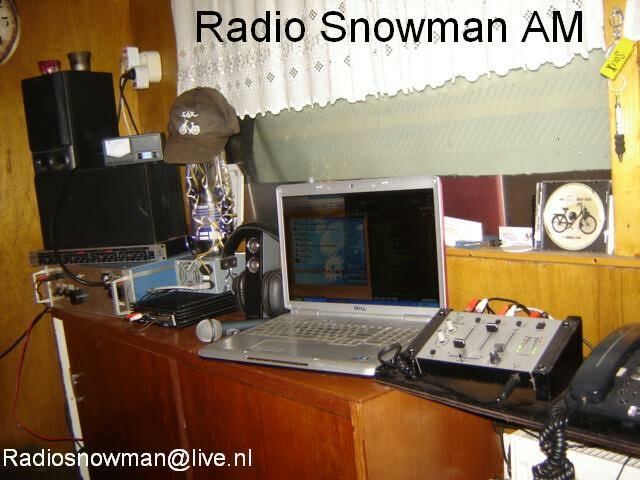 And while this qso was taking place on Sunday evening (August 1), Radio Snowman was busy with a music programme on 1655. Sure, he wasn't strong this time but I could hear him which was quite something considering he runs only 20 watts and conditions were far from great.